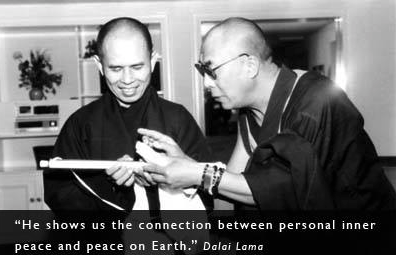 There has never been a time in world history to spread and share mindful movies like The 5 Powers. "Pay What You Want" Is Enabled. If You Can Pay More, We Will Be Truly Grateful...Why? The Reality Is We Have Not Broken Even On The Movie...Meaning The Movie Is in Debt. Donate More Now or Download Everything and then If You Like It, And Can Afford To Pay More. You can do that via Gregory Kennedy-Salemi´s Paypal.me acct. - Historic Rarely or Never Before Seen Photos, Press, Video, Poetry. (BEATS MUSIC) WAREHOUSE READY TO BE SHIPPED! - Andrea Miller, Deputy Editor, Shambhala Sun (Lions Roar) Magazine. - Dave Gibbons, Graphic Novel Artist (Watchmen, Green Lantern). 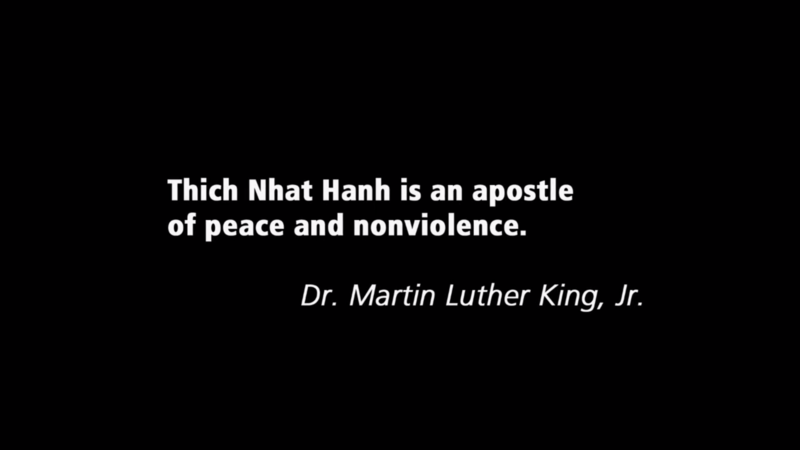 for the Nobel Peace Prize in 1967. 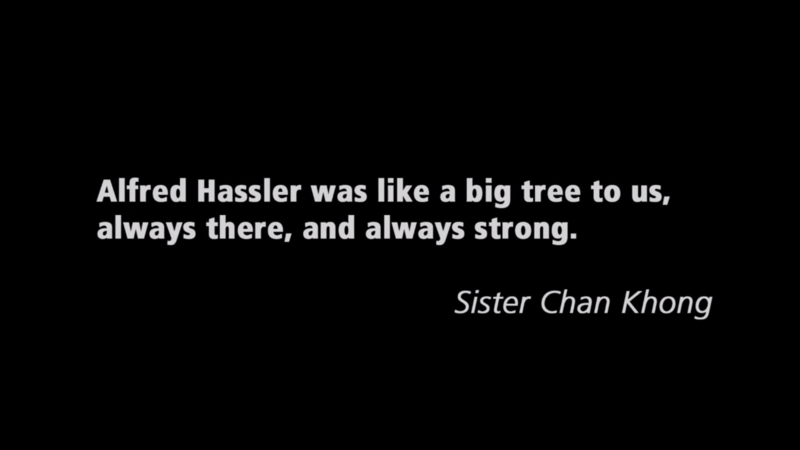 There has never been a time in world history to spread and share mindful movies and music. "Pay What You Want" Is Enabled. If You Can Pay More, We Will Be Truly Grateful...Why? The Reality Is We Have Not Broken Even On The Movie...Meaning The Movie Is in Debt. Donate More Now or Download Everything and then If You Like It, And Can Afford To Pay More. 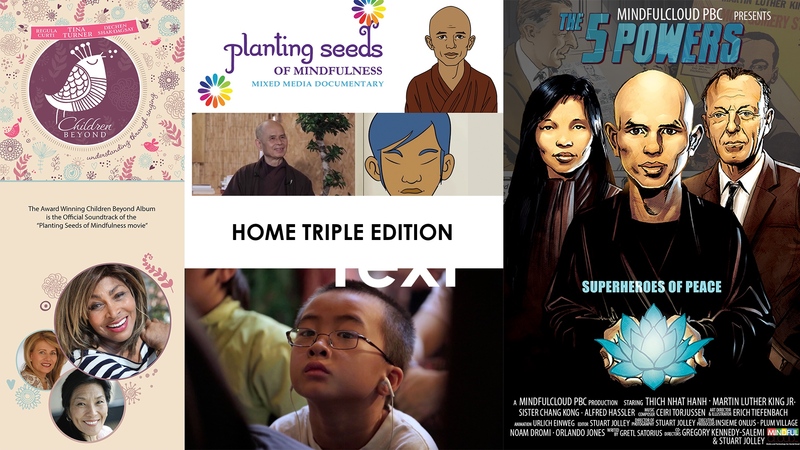 The Mixed Media Documentary version is based on the bestselling book Planting Seeds of Mindfulness for Children by Nobel Peace Prize Nominee and world renowned Zen Master Thich Nhat Hanh. 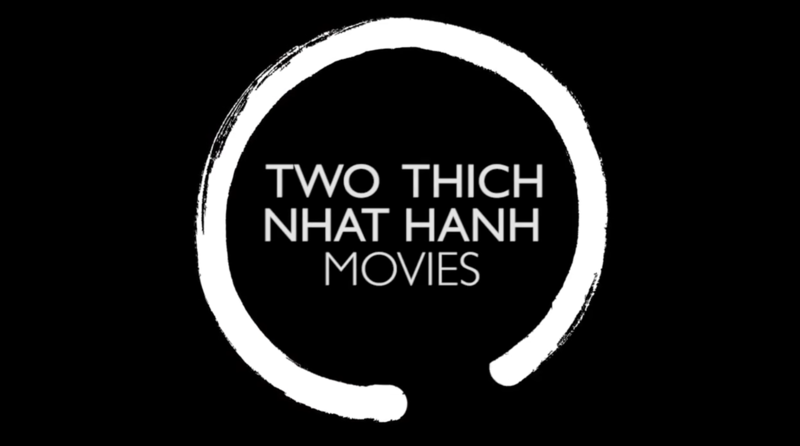 The 72 Minute Mixed Media Documentary version Stars Thich Nhat Hanh “Thay”,and features Q & A session with Thay and interviews with Parents, Children, Teens and Educators from several continents. The Award Winning Official MOVIE SOUNDTRACK features legendary artist Tina Turner. Since 2008, Tina Turner has been committed to the promotion of tolerance and respect through music as both an ambassador and singer. After listening to the first composition of CHILDREN BEYOND she was extremely moved: “This is the path we must take – we must start with children. I want to help.” She wants to touch as many people as possible with the CHILDREN BEYOND project. The animated portion of the movies features TV Star Orlando Jones as an animated character, and his son Jasper, A Vietnamese African American Teenager whose family has just moved to a new neighbourhood, and a new school to be closer to Jasper´s charming and wise Zen master like Grandfather. At school Jasper is confronted with Bullying and uses the practices that his grandfather taught him to diffuse and transform situations at home and at school. Children Beyond is a music project with Tina Turner, Regula Curti and Dechen Shak-Dagsay for the promotion of tolerance and respect. Children Beyond w Tina Turner is The OFFICIAL SOUNDTRACK for the Soon to be released (Oct 28 or 29th) PLANTING SEEDS OF MINDFULNEES MOVIE Starring Zen Master Thich Nhat Hanh and TV/Movie Star Orlando Jones. • It was not only these three singers who contributed to ‚CHILDREN BEYOND‘ but also thirty children. The CD is a musical interpretation of prayers and mantras from the five world religions and Sikhism. These were set to music by Roland Frei from NJP-Studios with a bridging combination of East-West melodies. The children sang the prayers and songs on ‚CHILDREN BEYOND‘ in the old languages of Arabic, Hebrew, Latin and Sanskrit. Furthermore, the singers were selected in consultation with various religious leaders to reflect different religious beliefs. - Historic Rarely or Never Before Seen Photos, Video, Poetry. The minimum price we can set is $0.99 Cents. "Pay What You Want" Is Enabled. If You Can Pay More, We Will Be Truly Grateful...Why? The Reality Is We Have Not Broken Even On The Movie...Meaning The Project Is in Debt. Donate More Now or Download Everything and If You Like It, And Can Afford To Pay More. The Award Winning Official MOVIE SOUNDTRACK features legendary artist Tina Turner. Since 2008, Tina Turner has been committed to the promotion of tolerance and respect through music as both an ambassador and singer. After listening to the first composition of CHILDREN BEYOND she was extremely moved: “This is the path we must take – we must start with children. I want to help.” She wants to touch as many people as possible with the CHILDREN BEYOND project. “Hope is what the world needs now and hope is what The 5 Powers Movie offers.” - Andrea Miller, Deputy Editor, Shambhala Sun (Lions Roar) Magazine. ''The 5 Powers is a moving fusion of documentary footage, historic montage and vivid animation that send a powerful message of peace. Using modern technology and dramatic storytelling, the film focuses on three true heroes and their non-violent re-solution of conflict through a mind-ful, compassionate approach. Its beautifully crafted and truly inspiring' - Dave Gibbons, Graphic Novel Artist (Watchmen, Green Lantern). - Historic Rarely or Never Before Seen Photos, Press. 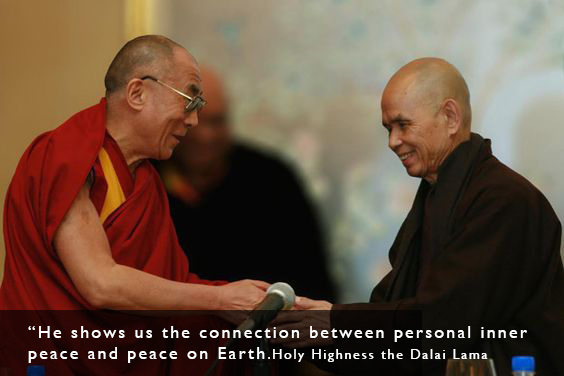 With Children” by Nobel Peace Prize Nominee and world renowned Zen Master Thich Nhat Hanh. The Award Winning MOVIE SOUNDTRACK features legendary artist Tina Turner. wise Zen master like Grandfather. mysterious place somewhere in France. 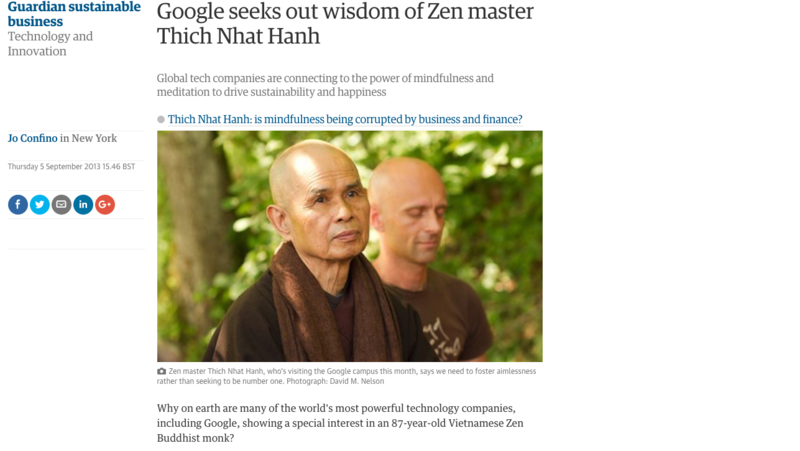 mindfulness he learned from Thay, a Zen Master at Plum Village (PV) in France. for fresh, mountain for solid, still water for reflecting, and space for freedom. ´The 5 Powers is a moving fusion of documentary footage, historic montage and vivid animation that send a powerful message of peace. Its beautifully crafted and truly inspiring' - Dave Gibbons, Graphic Novel Artist (Watchmen, Green Lantern). Hope is what the world needs now and hope is what The 5 Powers Movie offers. Like us on Facebook, Get updates in your feed!